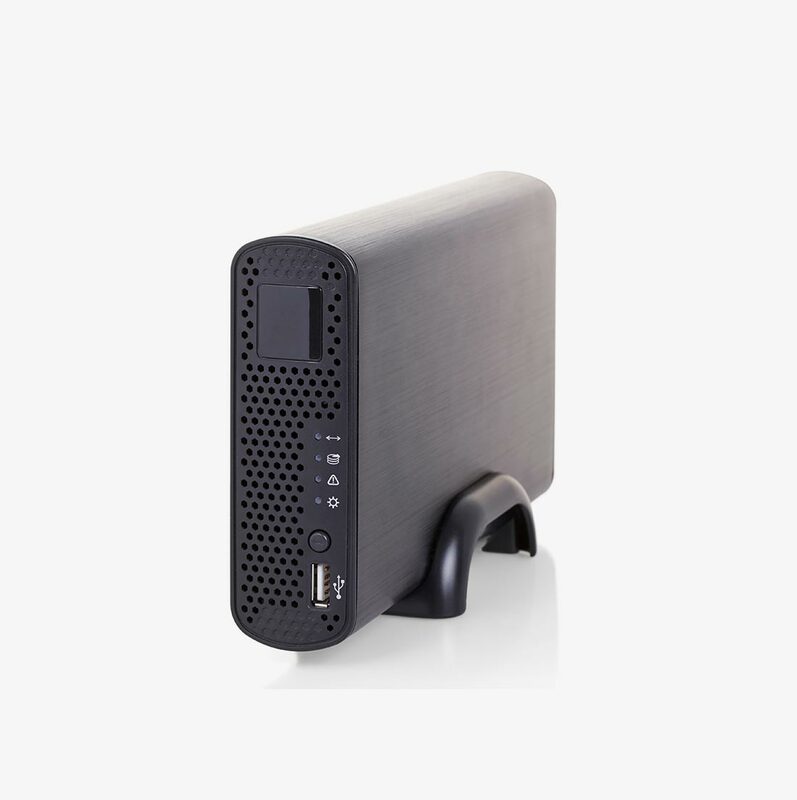 Backup is one of the most overlooked needs for small business IT deployments. Between virus infections and payroll software upgrades – along with running your business for what it is, backup just doesn’t seem like an essential requirement. After all you are cutting checks, drafting invoices, and pushing those CNC files to the shop floor – it does stand to reason this might not be something the average small business takes into account. People running successful small businesses got that way by thinking positively and envisioning a system crash most definitely does not fall into those lines. Positive thinking probably goes further than many of us would believe into keeping your data safe however it’s probably not best practice to rely on it. Today I am going to lay out some basic options for protecting your business data with an eye toward downtime – how much can we afford? There are several basic backup types, all of which have their advantages and disadvantages. A good backup and recovery scheme will account for all of these as well as your expectations for restoration and disaster recovery – ensuring you’ll be back up and running in a timely manner. This type of backup will create an entire ‘system state’ image of the files and applications on your system. In the event of a system failure you can simply restore this entire image to a repaired or replaced system leaving all of your intricate configurations intact (database configurations, user settings, file shares – you name it. Everything will be as it was at the time of the last backup). These backups may be taken once daily or many times throughout the day. While this method of backup seems to be a cure-all there is one major problem. As your business data grows the image size gets larger and more difficult to manage. In the event of a restore due to virus attack or OS partition failure the large volume of static data (most of which statistically you do not need right now) will need to be restored along with vital settings required to get the system up and running. I have clients with an excess of 1TB of design and other data which on today’s hardware would take a good 6-12 hours to restore on the fastest hardware on a good day. This is why we separate OS and Program Files from business data. OS and Program files seldom change and when they do it is a very small fraction of the total data being backed up – allowing for lightning fast incremental backup and recovery. Good programs to accomplish this include: Symantec System Recovery, Acronis TrueImage, and Storagecraft ShadowProtect. All of them do an excellent job. This backup type will create file-level backups. This creates a file based copy of files as they are modified, created or simply when a backup job is scheduled to run looking for them. A good program will find and backup only those changed since last time and keep a comprehensive version database based on your needs. This can mean we keep 14, 60 days worth or different versions of files – whatever your recovery needs and hardware budget allows. This type of backup may be the end all, be all for your business. If your computer and networking needs are simply file folders full of word and excel documents and a simple accounting system such as quickbooks the ability to rebuild and reconfigure might turn out to be every bit as rapid as a full-blown recovery from an image-based system. When your needs are more complex requiring hours of setup and troubleshooting of configurations, as just about any deployment running Microsoft Active Directory would be you can simply restore a running and configured system with your complete system image and get back in action rapidly. After you’re back running vital software services you can decide what data to restore from your file-based backup on a case by case basis. Accounting is down and payroll is due? Restore the accounting data first. We won’t wait two hours for the image to copy 300GB of marketing literature in the process. We’ll bring current engineering files back online next and everything else as necessary. We just saved a whole lot of frustration and business outage because we were able to prioritize recovery objectives and keep your business running. Symantec Backup Exec is probably the best, quickest restoring, granular file-based backup system out there. CA ArcServ is another decent option. Consider these file-based systems. These will backup files as they’re changed or according to a schedule and are great for total disaster recovery. Fire, flood, theft, vandalism all come to mind as situations that could potentially render your on-site backup systems worthless. Some businesses wish to rely on these systems and that is much better than nothing. One thing to keep in mind is that 20gb – probably at the low end of data you require to work – will take an hour at the highest speeds your small business is likely to afford. Most businesses in the West Bend area where we server do not have anywhere near that type of bandwidth. The most common download speed for many businesses is around 1.5/Mb to 3/Mb per second. You’re looking at 25-40 hours just to get that data back into your posession. We’ll put it back and have you up and running an hour or so after that – after all we’ve had plenty of time to reconfigure a new home for it. For this reason we recommend you take a hard copy image-based backup off site as well unless your business can afford two days of downtime. This involves separate hardware constantly updated with vital production data. Separate systems, separate running software, ready to go in case of failure. This is well beyond the scope of this already lengthy article but should be noted as an option for those who absolutely, positively, cannot be down. Typically this is reserved for huge organizations such as hospitals and businesses serving tens of thousands of users but can be implemented for the small business as well. Usually having a plan to be up and running in one or two hours after a failure is sufficient. These are the basic considerations for a backup and disaster recovery plan. Backing up the data isn’t so much the difficult part, but restoring it and getting you up and running in a timely fashion. Implementation of it requires careful planning if business objectives regarding time to restore are to be met. We can help you with all of this, of course. Just use the form to the right or give us a ring at 262.384.4400 and we’ll get to the bottom of your needs and propose a system you can bet the bank on. We are your one stop shop to keep your business running technology running through all adversity and can implement carrier-grade systems for your business while providing premium support and monitoring from West Bend, WI.